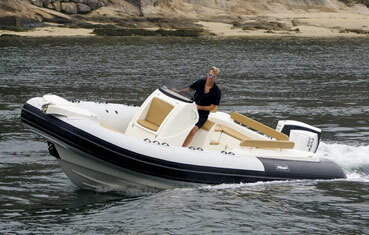 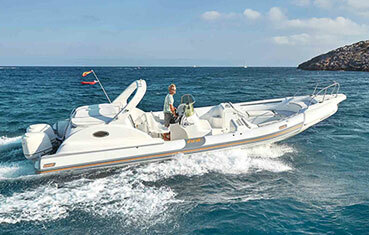 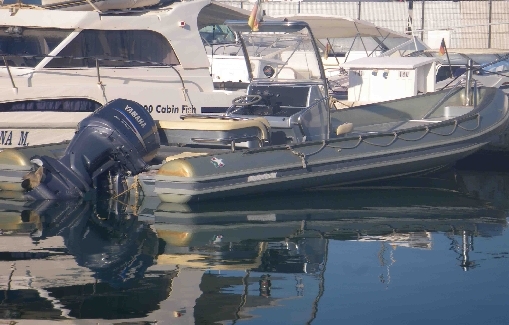 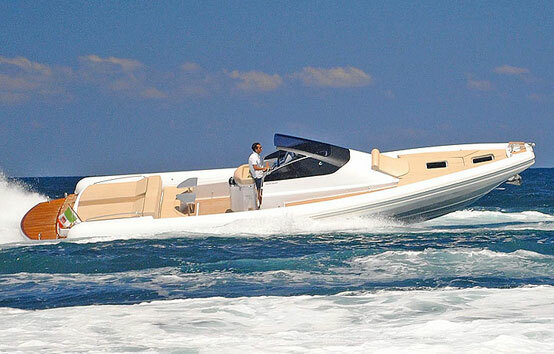 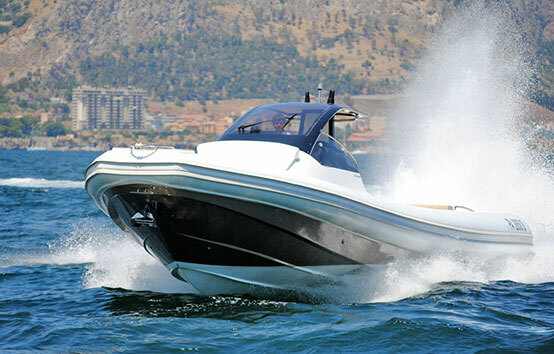 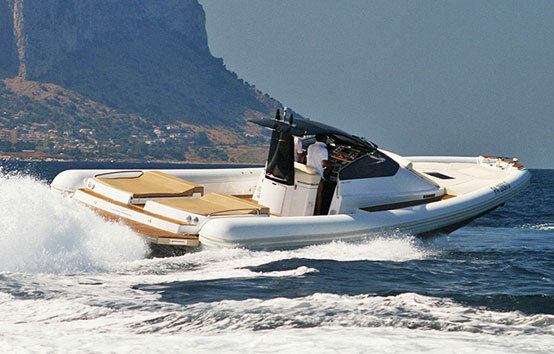 An imposing over 13m RIB (Rigid Inflatable Boat), the “MX-13 coupé” is excellent for wide ranging cruising, allowing you to maintain a relatively high speed during navigation even in rough seas. 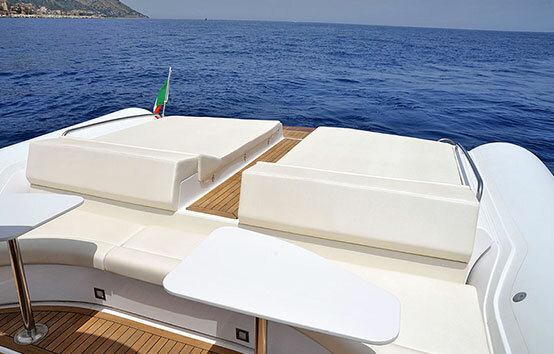 Its vast internal space makes it the ideal holiday “companion”: with estensive sunbathing areas both at stern and bow, large external sofa with two tables, large fridge and cooking area. 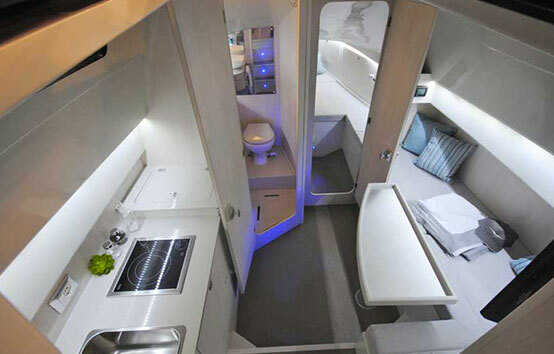 Internally it offers living space for a large transformable dining area and cabin at bow. 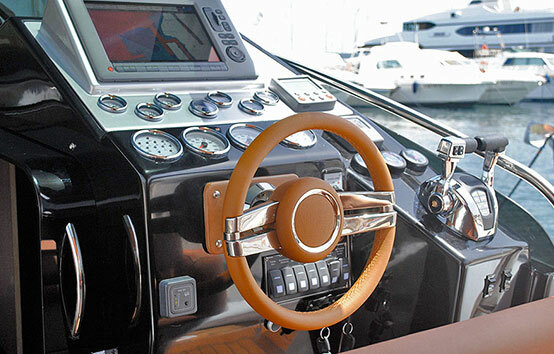 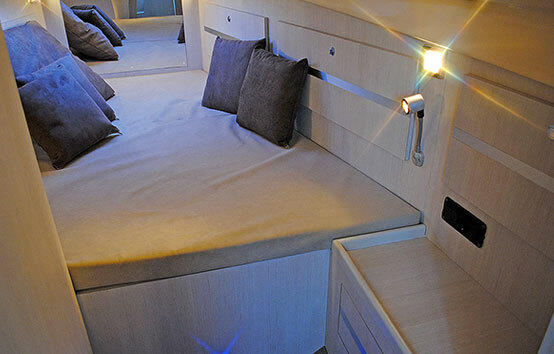 The particularly large bathroom and another kitchen below deck are the finishing touches to a boat that is unanimously recognised for its unique elegance, discreet lines and livery and which represent its qualifying strong point. 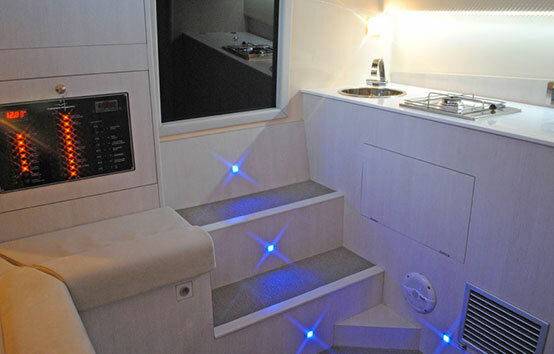 Stereo set with 8 speakers + 4 sub, Fridge, Kitchen.